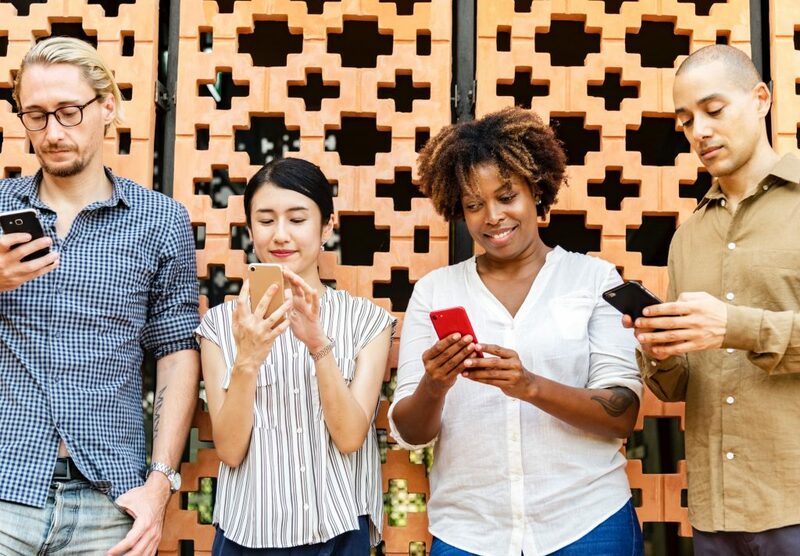 Although it can be funny to see everyone on their phones nowadays, did you know that it can actually be helpful for your business? In fact, it’s so beneficial that you should consider making it as a priority. With a staggering amount of mobile users, we will share some reasons why they should not be ignored in this article. Just How Many Mobile Users? One of the reasons mobile users should not be ignored is because the sheer amount of them alone. According to We Are Social, it has been reported that the number of mobile phone users has increased 4% to 5.135 billion. This gives business owners like yourself plenty of opportunities to market to all kinds of people, whether they are local or across the country. The amount of users can be impressive, but the more important statistic is that the amount of time the average mobile user spends on their device is about 3.5 hours a day. Even though time is spent on social media platforms, websites, and various apps, any point during that time could be eyes on your business. Which is why it is crucial for you to put a focus on mobile optimization. The continuation of website usage on mobile means more session abandonment if your website is not optimized for phones. Factors such as loading speed, which milMedia covered in a previous blog, mobile layout, and responsiveness all contribute to consumer’s satisfaction towards your website. Once the user visits your website, it can take up to three seconds and if its still not loaded, then they will most likely leave. Secondly, is the layout of the website on a mobile device. There can be issues such as users not being able to access certain sections of the website or unable to click links that can take them to see interesting information. Lastly is the responsiveness of the website. You can have a good-looking website, but if its slow to respond to a user’s action, they can become annoyed and leave. A solution for these issues is when you are designing, or even redesigning your website, take mobile into account at the same time. When a website is optimized, and runs flawlessly, visitors are more likely to make repeated visits. Whether it’s looking at a menu to order food, shopping for clothes or items, and looking for extra information about one of your products. If the content appeals to them the first couple of times they visit, then they will most likely come back, ready to consume new content. Another reason to focus on mobile users is the ability for them to increase foot traffic for your business. Usually, if a consumer is interested in a business that is local, they would need to know the location, phone number, and the associated website. All three options would be clickable after a search. Allowing consumers to easily click on one of three options to receive directions on the Google maps application, instantly take you to their website, and prompt you to take a call. By setting up these options, you are making it easier for the consumer to get in contact with your business, whether it is foot traffic or online traffic. If you are a restaurant and someone types in “food near me”, your business has a chance to show up. Then the person looking at the options can look at your place get the directions and start making their way there. Another example is if you are a hardware store and your business shows up after somebody types in “tool stores near me” in Google. That person could just click on your website, see that you have the product, and then get directions. Overall, optimizing your business for mobile devices can help you increase your conversions. Whether you are increasing discover-ability on Google, or optimizing your website to function on mobile phones, consumers will have a higher chance of viewing what you have to offer. If you want to make changes for your business, milMedia Group designs websites, and we would be happy to collaborate with you to get your website running flawlessly on mobile devices. ARE YOU A BUSINESS OWNER LOOKING TO MAKE THE NEXT STEP? Check out our recommended strategy.